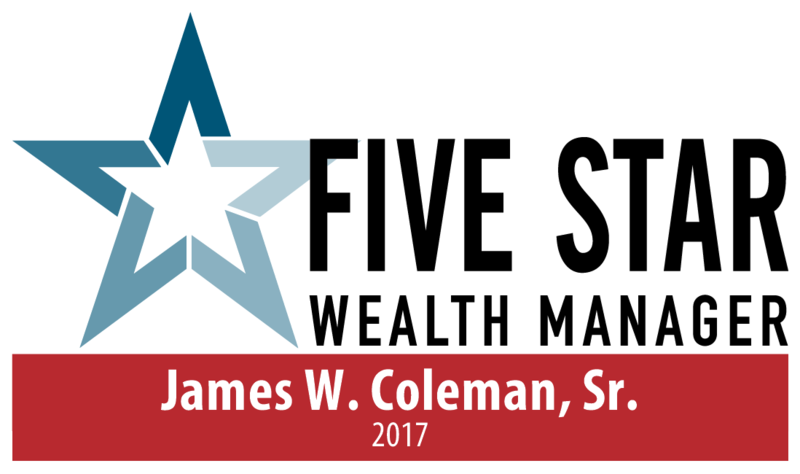 At Coleman Financial Advisory Group LLC, we treat every client as though they are our only client. Jim and his team, through their comprehensive approach, have tailored a proactive client service model that is specific to the individual needs and objectives of each client and will act in concert to deliver the best in client service. We strive to provide advice that is written in a manner clear, specific, objective, and thorough. Our work with local attorneys, tax preparers, and CPAs allow these professionals to provide their clients with well thought out solutions to complex issues. We work with many local companies, hospitals, and civic groups to provide financial education, timely information, and planning services to their employees, members, executives, and members of the public. Additionally, we make available timely articles for newspapers, newsletters, and other publications.